Thinking about sending your clients an updated brochure? Direct marketers constantly strive to improve their Return on Investment and sophisticated variable data printing (also referred to as 1:1 or one-to-one marketing) has allowed them to get incremental increases in response. You can personalize each direct mail piece according to each individual’s or group’s profile using variable data printing. Encourage your clients to take action with a message designed to appeal to each person’s or group’s sweet spots. 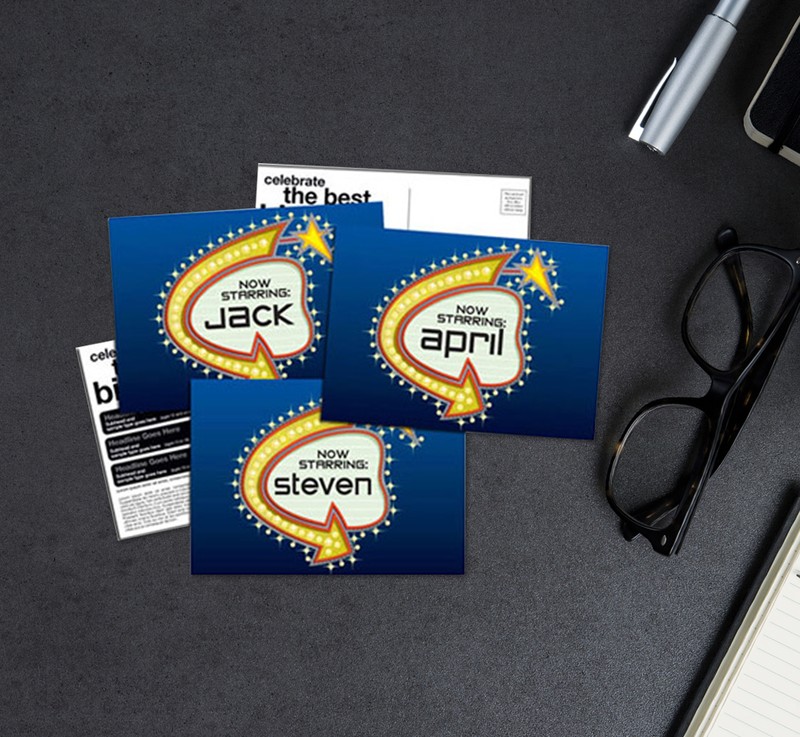 BBP’s personalized printing solution allows you to tailor messages and graphics specifically to each customer. With 1:1 marketing, you’re able to send promotions that are tightly focused and targeted to each recipient. Watch response rates jump with Variable Data Printing. Tests show that response rates often range from double to 15x the response rates of non-variable mailings. Boston Business Printing can help make your mailings fast, reliable, and effective. Call or email us today to test our Variable Data Printing services on your next mailing. Here are just a few ideas on how to increase ROI (return-on-investment) with variable data printing. Show different images on your cover, based on a group’s demographics. Change certain paragraphs to fit a specific group of individuals. Switch out names and photos for special areas or regions. Show relevant maps based on each client’s zip code. Create a brochure personalized for each prospect based on variable database elements. Car dealerships of a large automobile manufacturer collect information about their prospects and the kind of car they are considering buying. Two days after visiting the dealership, prospects receive a personalized mail piece. It’s so targeted to their needs that they can’t resist opening it and reading. The mailing is totally data-driven. It shows pictures of the type of automobile that the prospect is interested in (in their desired color, of course). If the prospect is a male, the piece depicts pictures of a man so he can imagine himself in the scenario. It uses the prospect’s name throughout the mailing so (s)he feels that the piece is really speaking to him/her personally. The mailing refers to the city in which they reside and offers pricing plans that will suit the prospect’s budget. The best way to approach 1:1 marketing is to run small tests and determine which variable factors pull in the best response rates. Our staff has direct marketing experience and can help you plan your first campaign. Presort to save on postage. CASS certify your mailing pieces to ensure delivery. Add bar codes and postage indicium or actual stamps. Run them through the National Change of Address database (NCOA). Personally deliver them to the post office for mailing. One company launched a variable data campaign and used mixed media to enhance their response rate. They sent a survey to clients attending their big conference. They asked their clients to pick their favorite candy from a list. Their next communication was an email, telling the clients that their favorite candy choice (say, a Snickers Bar) would be waiting for them when they arrived. Of course it contained other personalized, promotional information as well. Their next step was to mail a large, rolled up poster with a picture of their favorite candy bar choice (along with a promotional message, of course). When the clients arrived, they were presented with a bag with their name printed on it which contained several of their favorite candy bars. This company had the best attendance rate they ever had at a conference and their promotion was the talk of the week.